With the 2016 Rio Olympic Games kicking off tomorrow, Rugby makes its first appearance back in the tournament since 1924. After successful campaigns from both our Australian Men’s and Women’s Rugby Sevens teams leading into the Games, Australia is a hot contender to come away with medals. Many of the Australian Women’s Sevens team, the World Champions in the sport, have played and are associated with Tribe 7s. Tribe 7s was formed in 2012 and has become one of the world’s most successful Rugby Sevens programs. The program started when a group of Brisbane State High School students fielded a team in the Q7s U18 tournament at Ballymore. The Caslick family approached Wests Bulldogs Rugby for support and supplies for the girls throughout the competition. 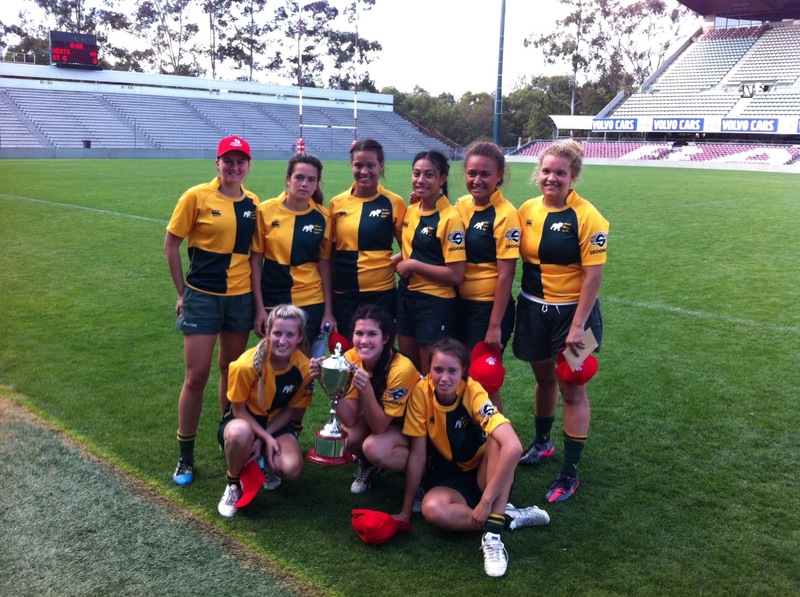 In that year, the Wests girls’ team took out the competition, motivating the creation of Tribe 7s. Current Australian Women’s Sevens, and Rio Olympic Games squad members, Charlotte Caslick and Brooke Walker played together in the team that year. Tribe 7s was established by Don Caslick to offer an avenue for his daughter, Charlotte, to be involved in the sport. Since then, Charlotte has gone on to achieve incredible accolades in the sport and has become an inspiration for young girls coming through the ranks at state and national level. Tribe 7s has grown to encompass both Men’s and Women’s teams, with many players now representing the team and country in higher honours. Since 2012, Tribe 7s and Wests have continued to work together with providing a training venue, coach (Cassidy Holland), jerseys, management and sports medicine support via the Bennetts family and team at Body Perceptions Physiotherapy. Wests are incredibly proud to be associated with such a ground breaking and successful initiative aimed at growing Sevens Rugby. Wests and Tribe now field collaborative teams for young girls including Wests/Tribe Under 14, 16 and 18’s girls’ teams that train weekly at Wests. So, here at Wests throughout the Rio Olympic Games period, we are celebrating the success and accolades of our Tribe 7s women who will compete. Charlotte Caslick, Brooke Walker (reserve) and Evania Pelite are three of the women currently in Rio who have a direct relationship with Tribe. However, seven other women, from Australia and other countries competing in Rio, have played with the successful Tribe team in major competitions and tournaments. These include powerhouse Ellia Green (Emmanuel 7s 2014), Nicole Beck (Central Coast 7s 2013, Coral Coast 7s Fiji 2013), Emma Tonegato (Central Coast 7s 2013, Coral Coast 7s Fiji 2013), Dominique Du Toit (Ballymore Summer7s 2014/2015, Amsterdam 7s 2015, London Summer Social 2015, Noosa 7s 2015), Rebecca Tavo – Fiji (Tribe7s Player of the Year 2015, Emmanuel 7s 2013, Central Coast 7s 2013/14, Noosa 7s 2013/14, Amsterdam 7s 2015, London Summer Social 2015, World’s Hottest 7s 2014/15), Alice Richardson – Great Britain (Amsterdam 7s 2014) and Jo Watmore – Great Britain (Amsterdam 7s 2014). Good luck to all of the Tribe 7s Women in Rio. Your Wests Bulldogs pack are behind you every step of the way!